Thank you so much for your support. We are wrapping up this project and are looking forward to working with more creatives in the future! Travis and the team are still accepting new orders for books! We are currently printing more copies for you. Be sure to buy one and share it with your friends and family! We have printed, packaged, and shipped out your books this week! 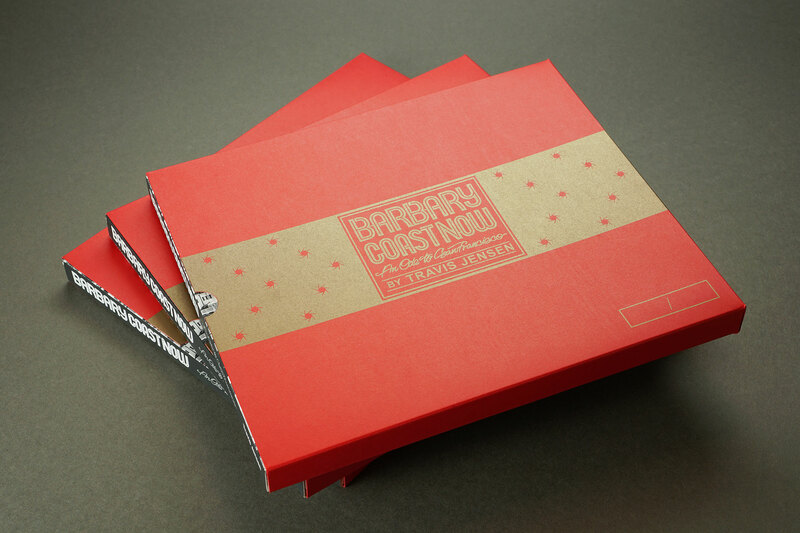 If you're still interested in purchasing a copy of Barbary Coast Now, we have a few copies still available, and are accepting orders. Thank you so much for your support, and we hope you enjoy your beautiful photo book. Thank you all for your orders! Travis and Makers Threshold are working on finalizing some details and are aiming to ship out the first batch within the next few weeks. Thanks for your support and patience! 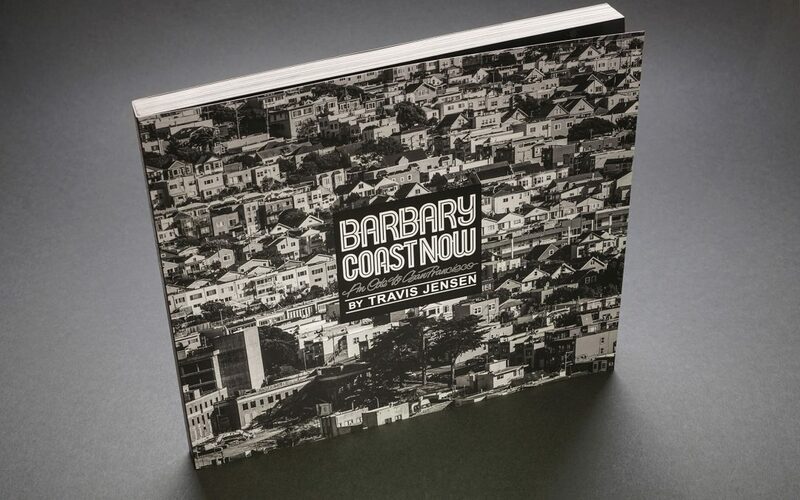 The Story Behind my First Photo Book "Barbary Coast Now"
When I first moved to San Francisco, I remember meeting an older Rastaman late one night who told me his theory about San Francisco being home to the descendants of Atlantis. He said although very few people are actually from San Francisco, most are drawn to The City in search of something, to be a part of something, to be amongst their tribe. Looking back at my own journey, I believe this theory to be true. I’ve witnessed The City’s magic firsthand draw me in and teach me things about myself I didn’t know I was capable of. San Francisco raised me to be a man, and I sure as hell earned my slot. The City’s in my blood. Sadly, however, like countless San Franciscans, my family and I were priced out in the summer of 2015. I came home one day to a letter from the property manager stating my rent was being nearly doubled. Finding an affordable place to live in the Bay Area proved impossible. So, we did the unthinkable--we picked up and moved to Los Angeles. I was doing a lot of photoshoots in LA at the time, and the price was definitely right compared to the Bay Area. I pitched the move to my family (and myself) as an extended vacation, promising we’d be back in a year or two. I’ve been in LA now for two and a half years but spent most of my first year feeling upset over having to leave San Francisco despite going home for business at least twice a month. One day it hit me like a much-needed kick in the pants--the move was the universe’s way of telling me I was getting too comfortable making pictures on the streets of San Francisco. It was time for a change. Time to begin a new project in a new city and start organizing the enormous body of work I had acquired on the streets of SF, a task I honestly didn’t think I would have been able to accomplish without leaving the enchanted city. In the United States and even across the world, San Francisco has a reputation for not only welcoming the idiosyncrasies of humankind but celebrating them. In 145 photographs that same spirit is brought to life and forever preserved as pieces of history from a city that irrevocably changes with each passing day. 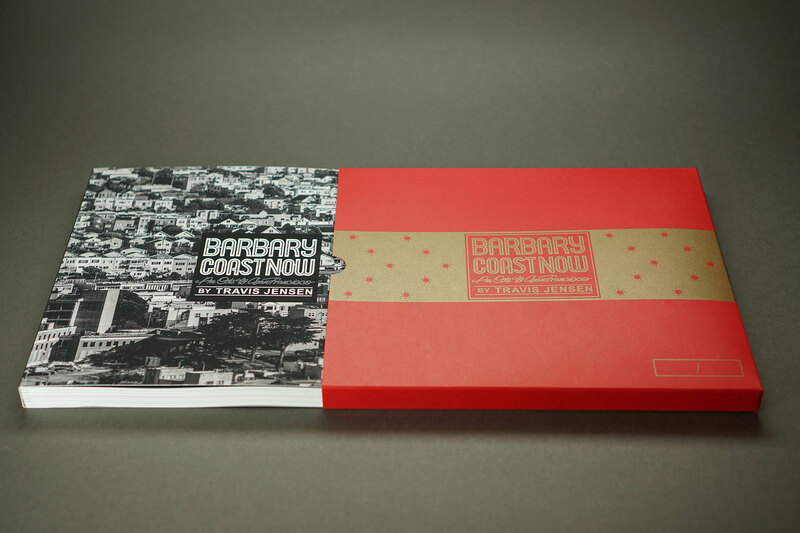 The end result is this book in your hands, Barbary Coast Now. 145 carefully considered photographs representing the less delicate side of San Francisco, the side I know and understand best, where the Gold Rush era spirit and mentality still runs deep and the hustle never stops. The term “Barbary Coast” dates back to the mid-1860s, when gold seekers flocked to California from all across the globe in search of the precious yellow metal. San Francisco earned the nickname from its similarity to the notoriously dangerous Barbary Coast in Africa. Due to the rapid influx of tech companies and workers, San Francisco is currently not only one of the most expensive cities to live in the US but worldwide, resulting in many natives and longtime residents like myself being priced out and having to move elsewhere. It’s an epidemic. So many people and places are around one day and gone the next. Towards the end of my run, I remember feeling like I was racing against the clock to document my surroundings as the landscapes were changing so quickly and drastically. I witnessed San Francisco transform day by day, right before my eyes. Spanning nearly a decade, beginning in the recession era of early 2009 through the end of 2017, the images are a mix of digital, 35mm film, and iPhone. 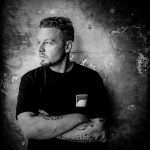 I believe the tools in photography are irrelevant. At the end of the day, photography is about your eye and sensibility. Everything else comes second. The Makers Threshold's blog more about the story behind the book. It was really important for me to make this book locally and not mass produced. I decided to work with Nonstop Printing because they’re located in the heart of Hollywood. The books were handmade right in their shop. The book cover is made with a velvet, soft touch finish to give it a super soft feel. Then they added a raised glossy textured effect to the title. The interior of the book was printed on FSC certified Mohawk paper with eco friendly glossy ink to help the images pop. The red sleeve was made by printing with a gold metallic ink on top of Neenah Classic Crest Red Pepper 130# Cover for a beautiful finish. Then it was custom cut and hand glued to fit perfectly to the book. We chose a gold metallic ink to represent the gold seekers that flocked to California from all across the globe. 30% of proceeds from this book after printing costs are being donated to the Tipping Point Community, a San Francisco-based non-profit organization dedicated to fighting poverty and homelessness in the Bay Area. I partnered with Tipping Point on a photo project in the spring of 2017 and witnessed firsthand some of the amazing work they are doing in the community. I’m incredibly honored to have them as the beneficiary of this project. Let this book stand as a testament to each and every one of the displaced, those like me, separated from their tribe. Gone but not forgotten. This is for you. I moved to San Francisco from Milwaukee over 20 years ago fresh out of high school, face covered in acne, with a duffle bag, skateboard, and approximately $800 cash. That’s it. I went to be part of the skateboarding movement happening throughout the ‘90s. Growing up, skateboarding was life and San Francisco was the Mecca for skaters (and still is). Making the pilgrimage to the holy land once of legal age was part of the plan since the summer of 1992 before I entered the 8th grade. Even at a young age, I knew I was destined to take an alternative path in life. Of course, I had no plan once I arrived in San Francisco. I was still a teen and relatively clueless about the real world. After a staying for a week and a half at a decent hotel off Union Square, I found myself living in a sketchy Tenderloin SRO (single room occupancy), followed by several months of couch surfing on the brink of homelessness before an old friend took me in, risking his own living situation to help me out. It’s crazy to think I lived in The City for three years before finally scoring my own bedroom. I remember that day well, feeling on top of the world like, “Goddamnit, I made it!” Finally, my own space. Fast forward to my early and mid-20s, when my interest in skateboarding began to shift towards writing (although, once a skater always a skater, even to this day). I decided to enroll in classes at City College of San Francisco where I spent a year and a half studying journalism and English, learning how to write, and later working as a staff writer for the school paper. A couple semesters shy of earning an Associate’s degree I decided to get a full-time job in an office downtown and take my classes at night. I was tired of being a broke student. However, night school quickly proved too much and left me with very little free time. I stopped attending classes but did not stop writing. In fact, I started writing even more and focused mostly on fiction. Sometimes I’d write past midnight only to wake up at the crack of dawn to write for an hour or two before work. By my late 20s, I was still paying my dues working in an office downtown and moonlighting as a writer. In addition to penning short stories, I was freelancing regularly for several publications including the San Francisco Chronicle where I had a weekly column and contributed feature stories for several years. It was a tough market for writers due to the rapid decline of print media leading up to the recession in 2007. Publications were folding left and right or trimming staff to the bare minimum to survive. My chance of earning a decent living writing was disappearing with them. It was then I took up photography to strengthen my value as a writer. What started out as snapping photos to support a piece of writing morphed into the exact opposite. I was writing less and relying on pictures more to tell stories. I fought hard to resist the transition because I prided myself on being a writer but eventually succumbed to the snap bug. Prior to embracing photography, I often felt this nagging void inside of me as if something was missing in my life. I couldn’t quite put my finger on it at the time. Once I picked up a camera and started documenting the streets of San Francisco, I realized photography was my true calling. Skateboarding and writing were stepping stones leading to this discovery. Skateboarding taught me to see the world differently, and writing taught me the art of storytelling. All I was missing was a camera. A little over 7 years after first picking up a camera I was able to leave my day job and take photos for a living. It was a damn risky move, but one I was willing to make. By this time I was in my mid-30s, married with two beautiful children, and had been working the same job for over 11 years. I needed to try my hand doing something creative before it was too late. Well, it’s 3 years later and I’m still self-employed as a photographer. The business side of this craft can be taxing as a one-man operation, but my two sons (now 6 and 8) are my motivation and inspiration to keep pushing forward. I’m happy to say that, because I’ve partnered with Nonstop Printing before we even launched this project, I’m confident that we’ll get these printed and shipped out within 2 months of the end of this campaign on August 11. Nonstop Printing has already helped me with my first batch that I launched at Leica’s San Francisco Store that has nearly sold out.